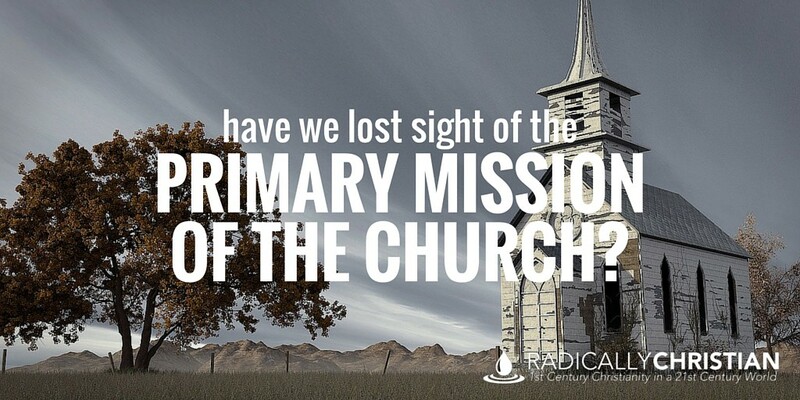 Have We Lost Sight of the Primary Mission of the Church? If someone asked you, “What is the primary mission of the church?” what would you say? Would you say it is to multiply and grow our numbers? Would you say it is to bring about moral reform in our nation? Would you say it is simply to worship God every Sunday? Do we know what the primary mission of the church is or have we completely lost sight of it? I believe the church of Christ in the twenty-first century has the same mission it had in the first century, which is this: to proclaim the message of reconciliation. God created mankind in His own image and for His own glory, but we willfully rebelled against God and brought judgement upon ourselves. We became God’s enemies. He, of course, has every right to destroy His enemies at anytime. However, His desire is not to destroy, but to bring about reconciliation between Himself and rebellious mankind (1 Timothy 2:4). This is why He gave His only begotten Son, to wash away our sin and reconcile us to Himself (Romans 5:6-11). Becoming a Christian means being reconciled to God. It is about being brought into relationship with the Creator of the Universe. It is about our status being changed from God’s enemy to God’s child. If this then is our primary mission, then our primary mission is not worship on Sundays. We should not see worship as our primary mission, but our primary pleasure. Because we have been reconciled to God, we have the pleasure of worshiping Him. We have been allowed into His presence to sing His praises, to come before His throne in prayer, to love Him, and to be loved by Him. This means those who see the church’s primary mission as creating an “exciting worship experience” each week AND those who see the church’s primary mission as checking “acts of worship” off a checklist each week, have both lost sight of the real mission. Worship is important. It is one of the greatest blessings of being reconciled to God. Therefore, it ought to be a constant reminder to us how truly important our mission is. If we have tasted and seen that the Lord is good (Psalm 34:8), if we really love Him and enjoy Him, we should want the world to know the same joy we have in Christ. 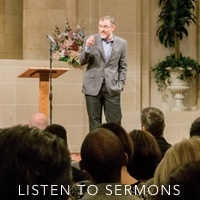 The church needs to be preaching against immorality; not primarily to bring about reforms to our country’s legal system, but in order to convict the world of sin (see John 16:8). We must help prove to people that they – like us – need saving from a horrible fate. We do not preach against sin in order to bring about the sinner’s punishment, but to bring about his or her salvation through repentance and faith in Christ Jesus. The church is not accomplishing its goal by simply changing laws, or by making the world believe Christians think we are less deserving of death. All of us “deserve to die” (Romans 1:32). This is the message we must consistently preach. It is only when we are convicted of sin that we can experience godly sorrow, repent of our sins, and throw ourselves upon the mercies of God. If we truly helped bring about repentance and reconciliation, through the preaching of the gospel, we wouldn’t have to worry so much about changing the laws of the land. We all love to see our congregations grow. We love to see more people in the pews. We love to see relationships blossom and grow. It’s easy to begin thinking this is the primary mission of the church, to create large communities of loving friendships. Though this is a wonderful result of people obeying the gospel, it is not the church’s primary mission. But because many have accepted this as our primary mission, they have set about the work of creating a myriad of church social functions and ministries to appeal to the masses. They believe if we attract enough people to the church building, by offering the right amenities, we will have accomplished our mission. But nothing could be further from the truth. The church is not a social club. Fellowship is a wonderful blessing of sharing a common salvation, but it is not the primary mission of the church. We could attract a million people to a religious social club, but if our primary message was not, “we implore you on behalf of Christ, be reconciled to God,” then we would not be accomplishing our mission. All of these things (worship, moral reform, growing congregations, and so much more) would happen if we would just focus on our primary mission. We must help the world to see what an amazing opportunity God has set before them, reconciliation with Him through Jesus Christ. But before we can help them to see how wonderful it is, perhaps we need to see it ourselves.